Just like people who wear shorts when it hits 50 degrees for the first time since last fall, I excitedly make summery meals of pasta and a dressing- this past week’s fix- when it was 60 degrees (now its 30 and snowing..its March 20, the “first day of spring.” Right. 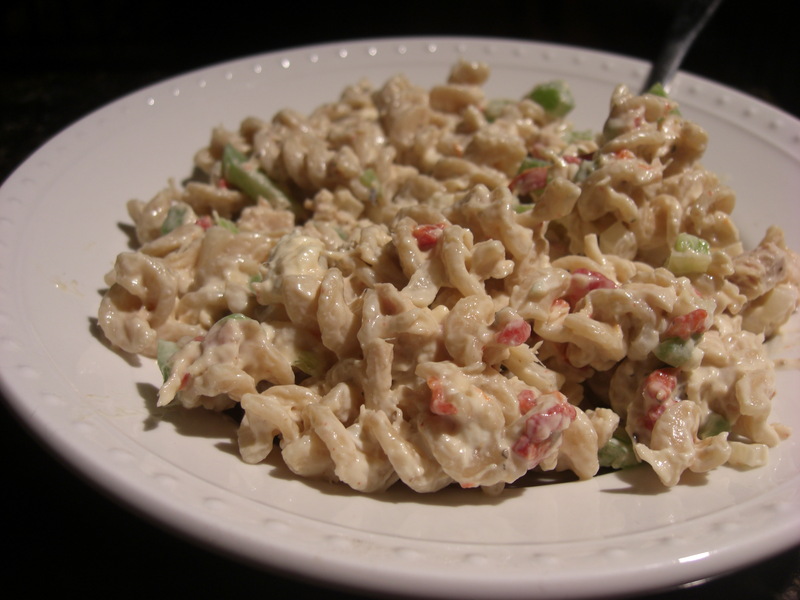 )- was a Mediterranean spin on traditional tuna noodle salad. May I just say it got me enthusiastically hoping for spring and summer, which I am certain is right around the corner. And to clarify, I was not dressed in summery attire while cooking or at any point of the day. 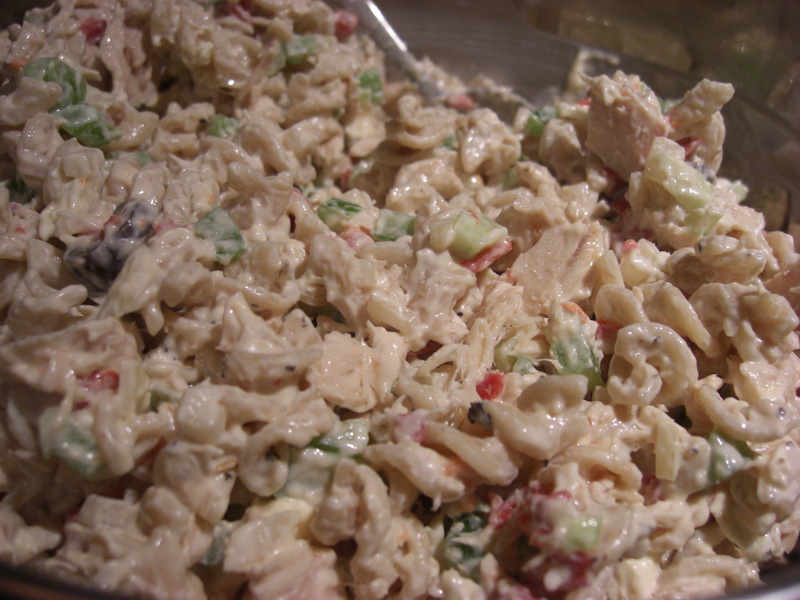 My mother makes her tuna noodle salad with seashell pasta or conchiglie. Not that it’s necessarily a bad thing, but I prefer to use a less themed approach in my version. I use rotini because it grabs onto sauce and also looks lovely while doing so. This post was written as a celebration, but is now a plea to mother nature to bring back spring. Pretty please? Look at what a fantastic salad I can make with a little warm weather inspiration. Boil 6 cups water in a large saucepan. Add pasta and a pinch of salt. Cook 8-10 minutes or until it has a slight bite. Drain and set aside. 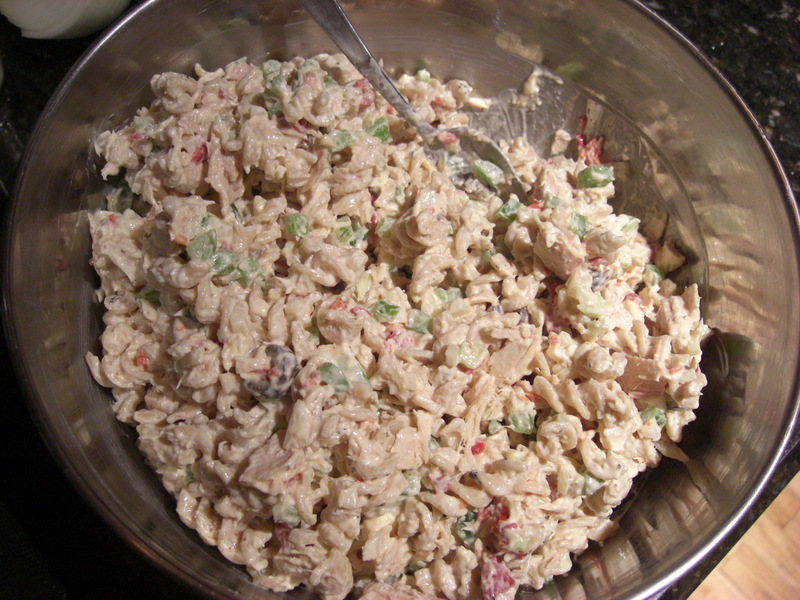 Mix together tuna, mayonnaise, sour cream, and rest of ingredients until well blended. Add pasta and stir to coat. Chill for about 30 minutes to 1 hour – or up to a day. Serve on leaves of romaine.